O’FALLON – O’Fallon First United Methodist Church hosted its annual Amazing Race last weekend for Back to Church Sunday. Teams of families and friends of all ages scattered throughout O’Fallon to complete the challenges given to them, helping the community along the way. Some of the challenges included walking dogs, mowing lawns and helping people with groceries. Everyone had a blast and ended the afternoon with dinner and a movie featuring the photos submitted throughout the race. Even though everyone “fought the good fight, finished the race and kept the faith,” only two teams claimed the first and second winning prizes. 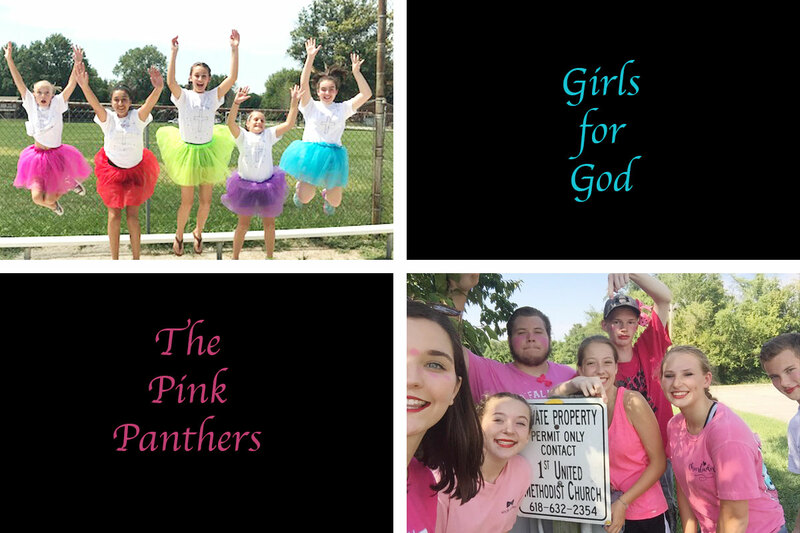 Second place, earning each team member a gift card to Cold Stone Creamery, was honored to one of the youth teams, The Pink Panthers. First place was given to one of the younger teams, Girls for God, winning them a pizza dinner at Peel to celebrate their victory.